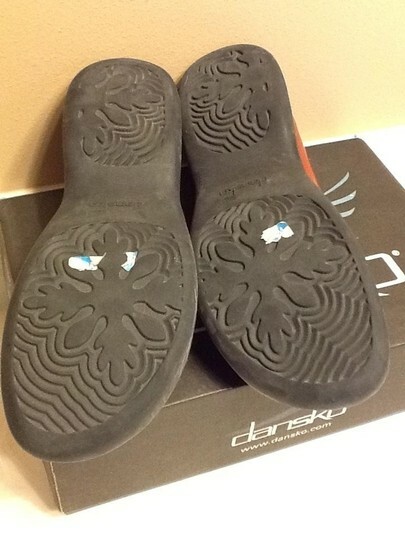 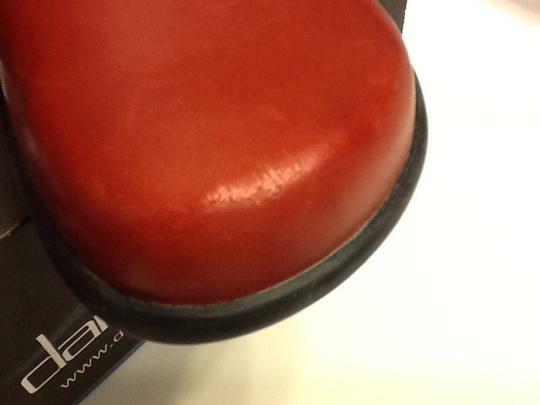 There is a scuff on the very front top of the left shoe. 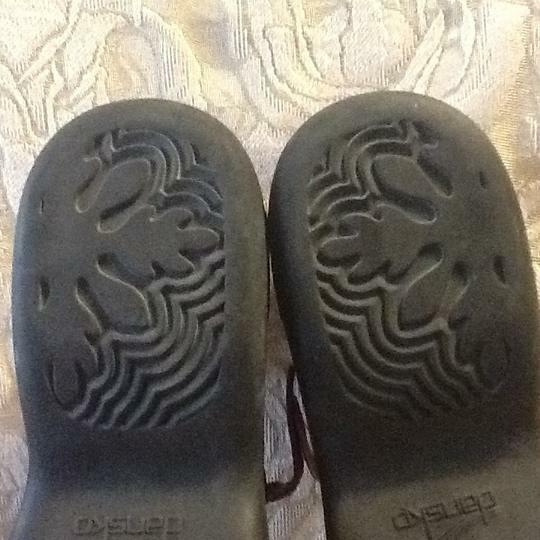 Took a picture so you could see what it looked like. EU Size 38. 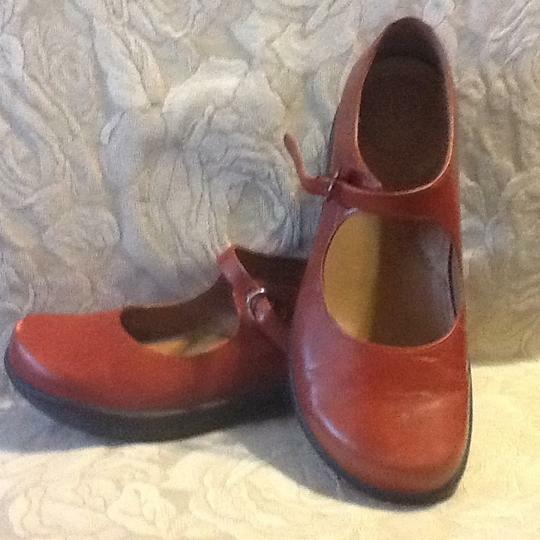 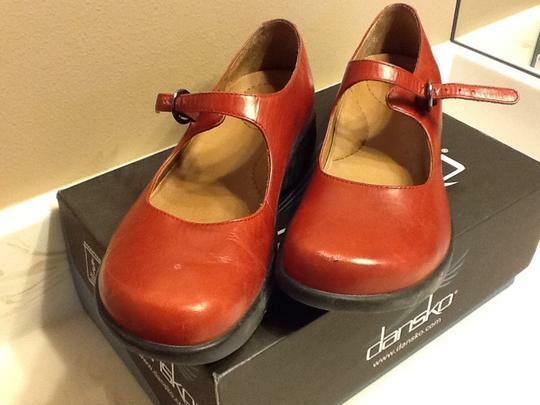 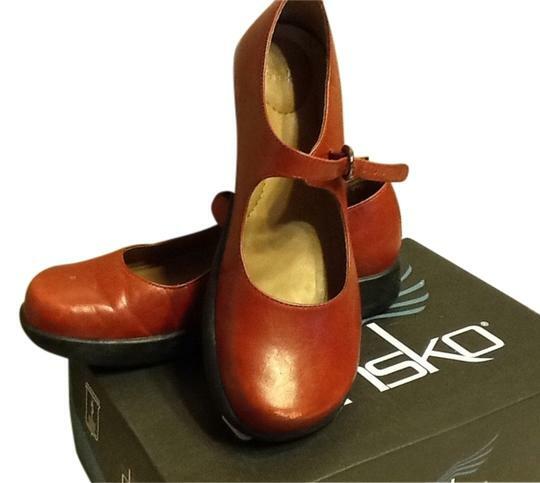 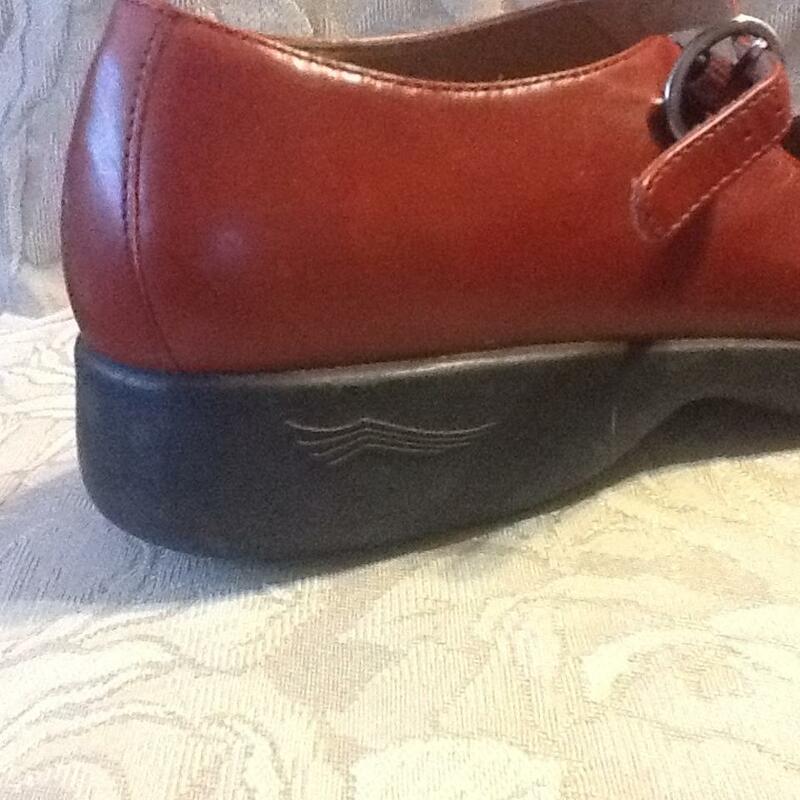 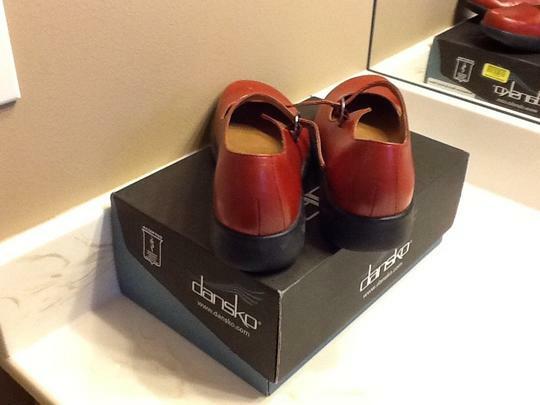 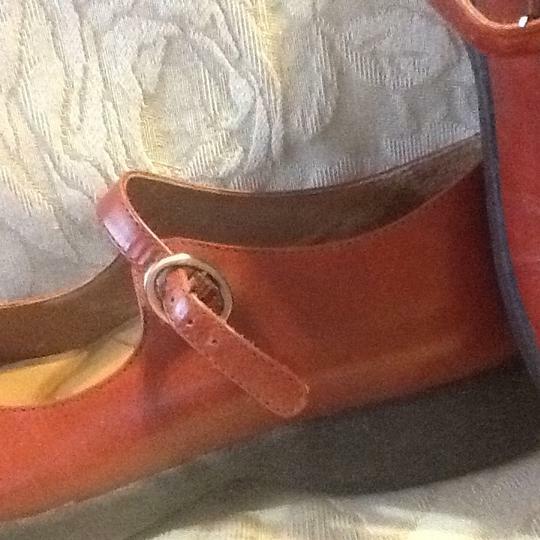 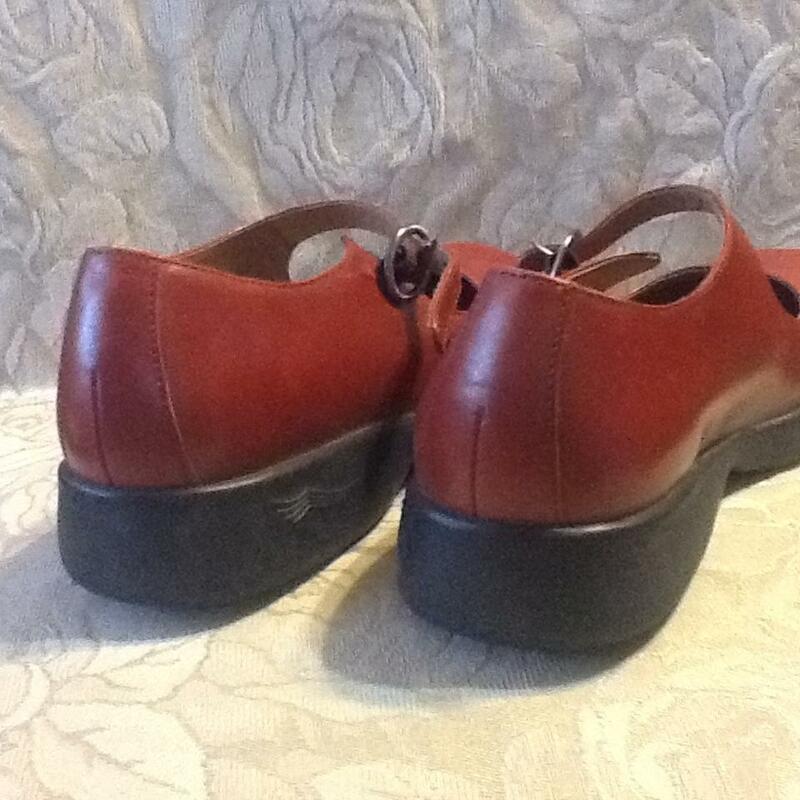 Check out the Dansko Mary Jane collection. These well-made, comfortable Dansko shoes will match various types of outfits-from jeans, to skirts and shorts. The usual Dansko comfort will not disappoint. 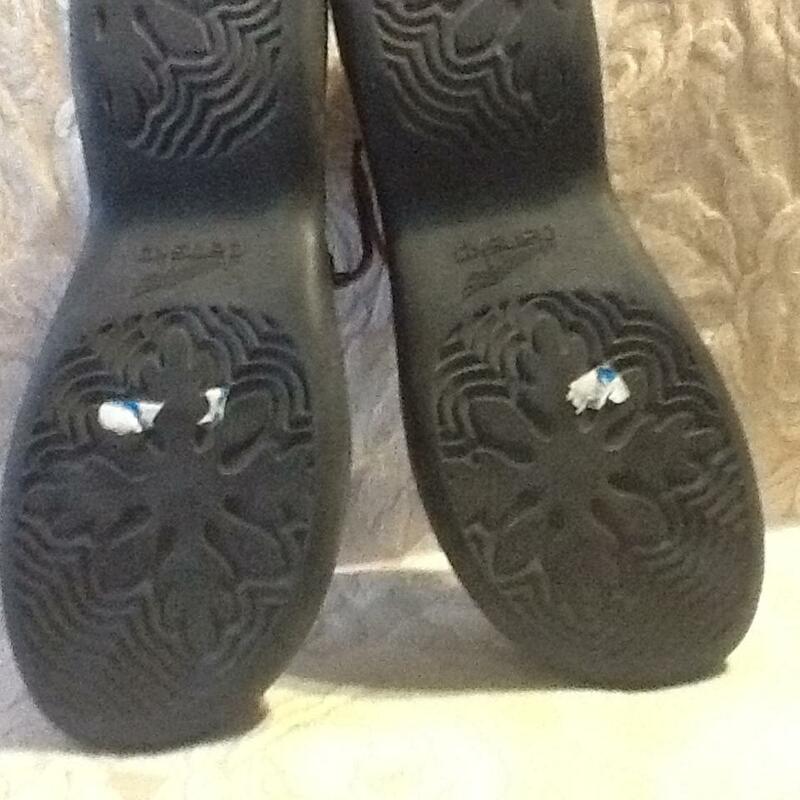 A mid-buckle allows for a more unique fit to your foot. 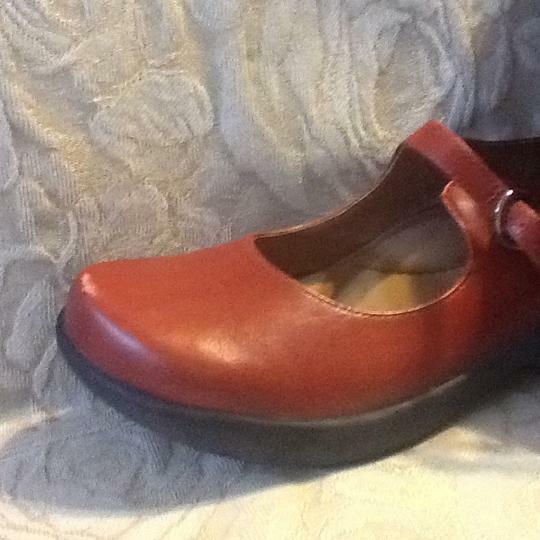 Show off your shoes loud and proud as others see you styling in your well-cushioned red Mary Jane's.